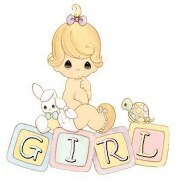 new baby girl that's coming soon. Christmas" and it was filmed by Chris Morrow of CNNiReport. (see the video on our Screencaps page 3). Each reader signed the special book and it's up for auction on E-Bay. it's worth bidding on to help such a great cause. a HUGE Thank You for a wonderful 2009. Click HERE to read his message. ready!! Our annual card to Adrian is finished. 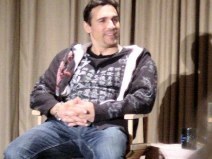 Then, check out the couple of Screencaps I managed to get. See them and many others (3 pages worth!) right HERE! The last one of the year!! 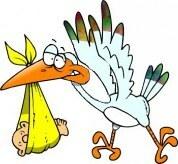 as we head towards 2010.
new experiences about becoming parents with us, the fans! How, you might ask? By starting their own Baby Blog. a message for Adrian and Alex or some parenting advice. Adrian & Alexa (along with TPTB) have set up 2 Baby Registries. between he and Alexa, head over to AP.net. a little parental advice Blog for Adrian and Alexandra. 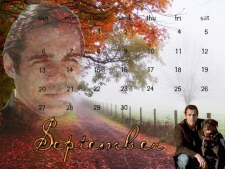 The new October 2009 Adrian Paul calendar is now ready! Did we mention it's FREE??? or print it out and take to the office. and their combined "new roles," all the best. and listen to what Adrian's mother thinks of the movie! of 'Eyeborgs'" video interview by Quinn Bender. in his hotel room in Cannes. Thank you Quinn! on Decmber 26th...Blu-ray on 28th. 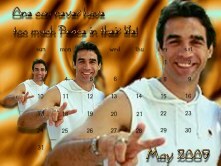 or screensaver to pass the month with. found on the VHS or the DVD versions. clips at this same great site! 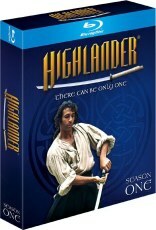 in Germany on November 27th...on Blu-Ray. the US. 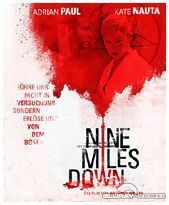 The German cover is shown at left. 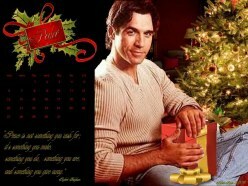 Your Adrian Paul calendar is totally FREE!! A lovely PEACE related version for August. <<<<Click HERE to get yours!! minutes until Adrian is announced. for July. Those days are HOT and so is this one! 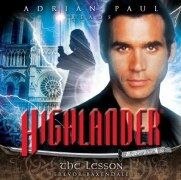 WIN A PHONE CALL FROM ADRIAN PAUL!! official site for all the rules & info. Adrian will do the judging, so this will be FUN! 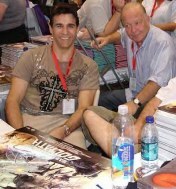 at the San Diego Comic-Con, 23-26 July. A special "meet & greet" sessions with the voice cast, DAILY. 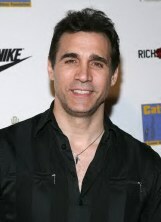 as Duncan MacLeod with several other co-stars. Or check out our AA Audio Page! 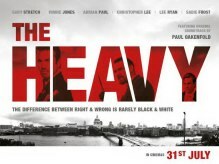 be on select theater screens in London. 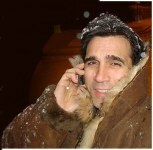 to send your birthday greetings to Adrian. for sending our card to Adrian, which is really enjoyed. Spring into spring with a lot of PEACE. "EYEBORGS" premiered on April 29th. Hancock Park, Los Angeles, California. 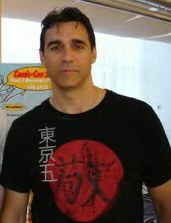 on April 21, 2009 in Westwood, California. Odom at the Roosevelt Hotel in Hollywood, California. live on with reports and pics. 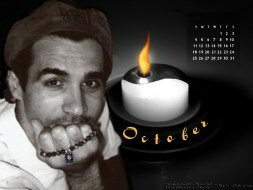 Get your FREE Adrian Paul Calender for April! if you want and use at work. Fun Easter design. the long awaited Adrian film. 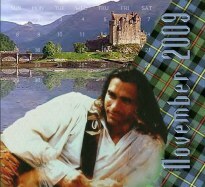 to be the biggest and best Highlander Con yet! 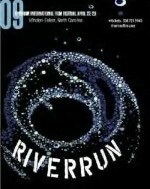 Gracen, Lisa Howard, Valentine Pelka and more! Get your tickets while you can!! Click HERE! write Sci-Fi to let them know we enjoy seeing HL. Also, the "Source" is airing that same day. 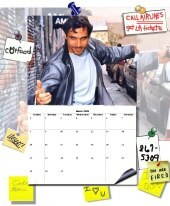 A new FREE March 2009 Calendar just for you! <<<<CLICK HERE to get yours! A new film role for Adrian has been announced! of "Magic Boys" in Hungary soon. career and Alexandra appears also. show up on February 6th on FLIXe so check those local listings! features some great "Duende" pics. Romantic, just right for Valentines. 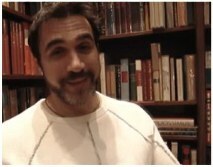 a video Happy New Year and thank you to his fans! January 15th and January 20th. Careful, it's scheduled for 1pm (EST) so don't miss it!! Adrian's newest adventure is set in 1592, full historical costume and looks amazing. and use as your desktop. What a way to start the day! 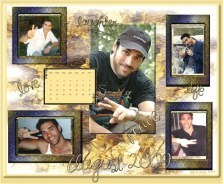 Our newest Calendar Contest will be underway for February soon. so check back here in the next week or so for more info. at the left to find our Yahoo E-group site.